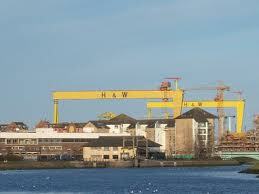 Belfast sits on a site that has been occupied since the Bronze Age, around 3200-600 BC. It has, however, only become a fairly substantial settlement since the 17th Century. Cambridge may be a Jewel on the Cam, but Belfast is a Jewel on the Lagan. To take the title of Joshua Levine's journey through the troubles, and narrow it down to Belfast, the City is both 'Beauty' and 'Atrocity'. Both have existed side by side for generations, and I have seen, and experienced both. While the beauty has always been there, it has been enhanced since the Peace Process. Through the same process, the atrocity has diminished, but unfortunately it has not disappeared. There are still men of violence, albeit few in number, who wish to make life uncomfortable for the majority. My memories are about a small charity working in North Belfast at a troubled interface in the middle to late 1980's. Trying to make a difference; trying to bring hope; trying to build bridges. A poem by Ciaran Carson called 'Belfast Confetti' sums up for me, something of those times. He describes what the title means. "If there was a riot in the shipyard, they would assemble the collective nuts and bolts, iron bits for this and that and the other thing. 'For we'll throw some Belfast Confetti on them and see how they will be getting on with that'. And the accent comes across, 'Belfast Confetti' - it's not very nice". Why can't I escape? Every move is punctuated. Crimea Street. Dead end again. My name? Where am I coming from? Where am I going? A fusillade of question marks". My work was mainly around the lower end of the Antrim Road, within the New Lodge and Tigers Bay areas. The road (A6) starts at Clifton Circus, which is just north of the city centre, proceeds upwards through Green Castle, past Belfast Zoo, Glengormley and on to Templepatrick, where the A6 Antrim Road becomes the A6 Belfast Road. Belfast to Templepatrick is about 13 miles, but I worked in no more that about half a mile of it. The upper Antrim Road was an area full of fine owner occupier houses and an air of affluence. 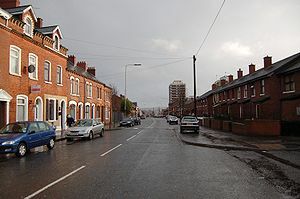 The lower Antrim Road was the opposite, being full of rented properties, many in poor condition, and carrying an air of deprivation and poverty. This was an area generally of low achievement, but of high unrest and anger. This was where I worked. In my last Blog I spoke more about the political climate, and what it took to carry on with the work. That is exciting and headline-gathering, but to fulfill our mission to make a difference, there had to be work that didn't grab the headlines; that quietly went about its business in dealing with poverty, unemployment, poor educational skills, life skills deficiencies and lack of social interaction. My job was to ensure that all of this could take place; that there were sufficient resources, both financial and human to complete the task; that barriers to success were looked at, and ways devised to bring those barriers down. For some of the work I would have hands-on involvement, for, though I was not short of staff, I enjoyed it, and I have always felt that any CEO needs to see and hear for himself what people feel and need. So, let me start to tell you about some of the work, and carry it on next time. Some of it is not necessarily spectacular, or particularly unique; it just happened to meet a need in a particular area, at a particular time, and I was proud of the projects that were started, of the staff who ran them, and of the people who attended them. Literacy was one of the areas to tackle. I didn't have a great education myself, but I did enter the adult world being able to read, write and think for myself. That at least gave me the grounding to make up for early deficiencies later on. Poor reading and writing skills hold people back from achieving their potential. Through the Action for Community Employment (ACE) programme, I was able to employ a literacy worker. I was very fortunate to get someone who was a qualified teacher, but who can gone through some difficult times. He was also an excellent artist, as well as someone qualified to supervise gymnasium training. It was like getting three people for the price of one. Not that I took great advantage of that of course - well, perhaps just a little. One of his pieces of art work is the picture opposite. This is a photograph, which I asked to have of his original six foot canvas painting. The title of the piece somehow seemed to sum up everything that we were about. 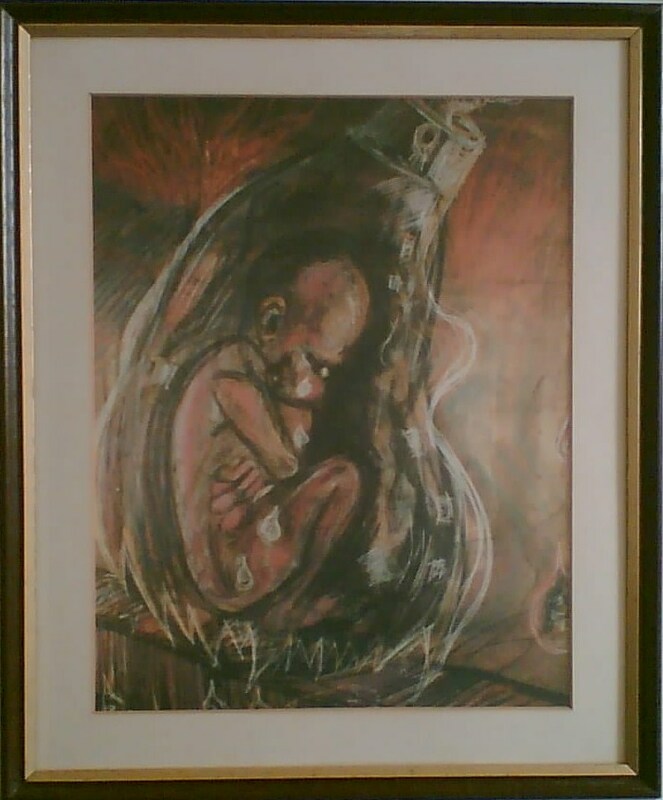 "What hope does a child have born into a world of poverty, violence and broken glass?" 'What Hope'. Some felt that they had none; others were looking for hope but didn't know where to find it, and we were there to provide that hope. I purchased a BBC Micro Computer, with teaching programmes so that the staff member could provided one to one sessions. While this would not reach the numbers that group sessions would, it would be more successful and attractive to individuals who were fearful or embarrassed about being in a programme with others. The BBC Micro Computer was released in late 1981, and was discontinued in 1994, and in the 12 years of its availability, it sold over 1.5 million. 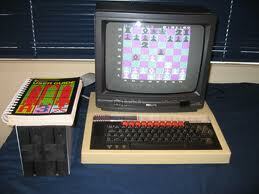 There were nine models produced with the BBC brand, but the term 'BBC Micro' usually refers to the first six models. Now be honest, how many of you knew that? I only ever saw our literacy project as being a starting point for people. It was to be on safe ground, where people could make a start on the rudiments of learning; gain confidence from their increase in knowledge, and move on to more established, and better funded educational establishments. We're not talking about huge numbers going through our programme, but pre-set targets were reached, and for me, there was great delight in seeing someone develop their literacy abilities. We'd turned the room behind our social enterprise cafe into a gym for local youths, and the literacy worker spent time there, working with youths; building up relationships and trust, and getting some of them into the literacy programme. It was another lesson to use everything at your disposal to achieve your stated goals. A service that we provided on another level was the Meals on Wheels service. This was mostly to the New Lodge estate, for elderly, lonely or disabled residents. This was not without occasional excitement. 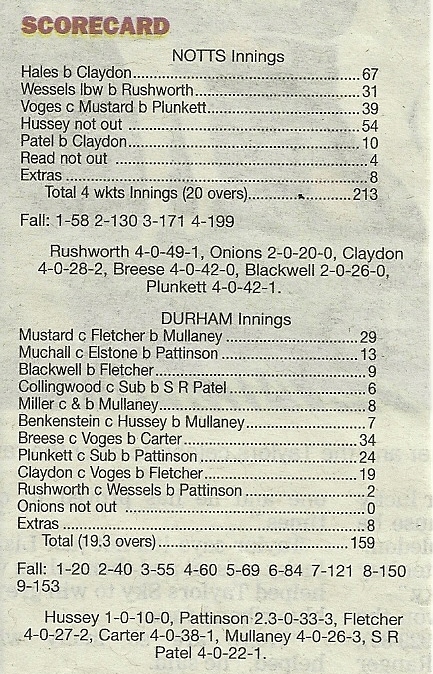 Before commenting on that, let me give you a bit of history. The first home delivery of a meal on wheels following World War 11 was made by the Women's Volunteer Service (WVS) in Hemel Hempstead, Hertfordshire in 1947. Many early services used old prams to transport the meals, using straw bales, and even old felt hats, to keep the meals warm while being delivered. There's a bit of social history for you. Most local authorities now have moved away from freshly cooked food delivery, and towards the supply of frozen pre-cooked reheatable meals. At the time I'm describing it was freshly cooked meals that were delivered. We didn't cook the meals ourselves; we delivered them. 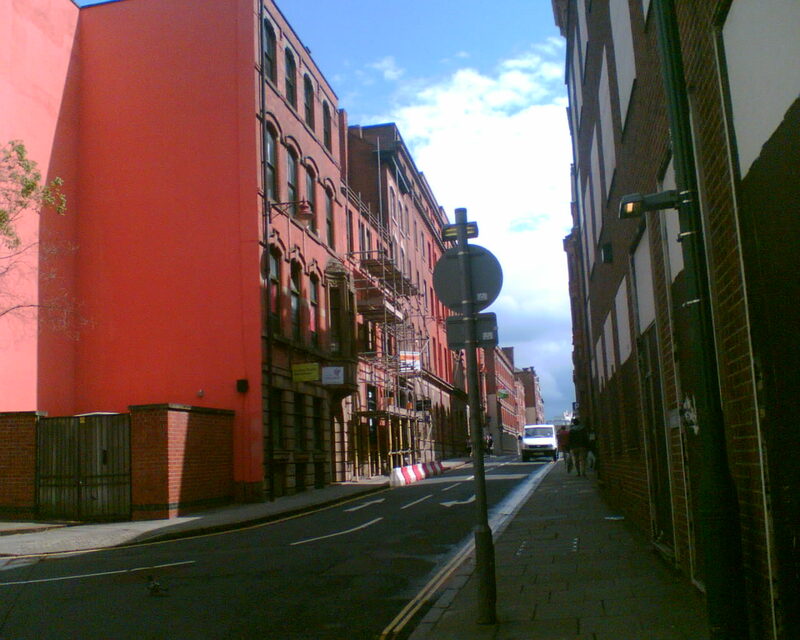 You have to understand the fear that many people had of going into some areas in the city, and as we were already going in to the New Lodge, it was arranged that Social Services would deliver the meals in thermos containers, which we would then deliver into the estate, if memory serves me right, on three days a week. I would never ask my staff to do anything that I was not prepared to do myself, so I took on the duty of delivering 12 - 15 meals a day. Fortunately we had a mini-bus, so I didn't have to use my own car. I met some wonderful people, and had some memorable experiences, all through delivering free meals to the elderly, lonely and disabled. Let me set the scene for you. On the lower Antrim Road, opposite the New Lodge Road, and next door to our base was an army lookout post. The New Lodge estate had very few access points by road, and the New Lodge Road was the main road in and out. Throughout my time there I was questioned about where I was from because of my lack of a Belfast accent. You need to be aware how sensitive the paramilitaries were about people infiltrating their areas. I always responded that I was Welsh, except when the Welsh Parachute Regiment was in Ulster and occupying the army post. The Paras had a terrible reputation among the Nationalist population, and whenever they were in town, I was English. You learnt very quickly to adapt in Belfast. Meals were delivered to people either living in terraced houses at the top of the estate, or to those living in the tower blocks at the bottom end. I did not like the tower blocks very much. They were often vandalised, with lifts out of operation, and carrying a meal to the tenth floor played havoc with my fitness levels, as well as my schedule. Even when the lifts were working, graffiti and urine smell was everywhere. The flats that I delivered to couldn't have been more opposite. They were generally immaculate, and the residents were most welcoming; each one would offer tea and tray bakes, which were declined because I would never complete my round. I did go back to some though at a later stage to help with some problem or other, and to this day there is nothing quite like a plate of Ulster tray bakes. The terraced houses were much easier to deal with, and as with the flats, they were generally immaculate inside and out. In another Blog I'll talk about housing conditions and our programme for decoration, but for now the premises were a delight to visit. I remember delivering a meal to one lady who was in fits of tears. She'd lived in the New Lodge all her life, and she was being asked to move. I wondered where on earth they were moving her to, that brought her to such despair. She lived at the top of the New Lodge Road and was being asked to move to the bottom end of the estate. What would she do without her neighbours and friends? She was moving no more than 500 yards away, but it might as well have been Derry. I learnt something that day about how important territory is; it may be nothing to us, but to others it is everything. Delivering meals was supposed to be so easy, but I was not prepared for the action of one week, when I felt like someone in on the start of the American Postal Service, where the post must get through. On this occasion, instead of post, it was the meals must get through. I sometimes wonder about my state of mind. During one summer week, the New Lodge Road had been barricaded by the Paramilitaries, and there was no other way in. This came to my attention when I turned the mini-bus into the New Lodge from the Antrim Road, and was confronted by a group of rather fierce looking men, standing behind a barricade, looking as if they were trying to goad the troops in the army lookout post. Suddenly stopping the bus must have looked suspicious to the protesters and the army, but thankfully the organisations name was on the side of the bus (of course it could have been nicked - I hadn't thought of that). What to do now? The meals must get through. What would John Wayne do? Who cares, he's 6' 4" and can look menacing. I'm 5' 7" and hardly imposing. All of these thoughts are occurring you understand, in a few seconds - I made my decision. I pulled the bus over and asked to speak to the man in charge. I spoke to someone (I doubt he was the leader), and explained who I was and what I was doing. I remember talking about serving their community; of the fact that elderly and disabled residents were waiting for possibly the only meal they would be getting that day. God I was good. I thought about saying that perhaps one of the people was their Grandma or Granda, but that would be pushing the emotional lever a bit too far. Anyway, ten minutes later the barrier was parted enough for me to get the bus through (who knows what the army were thinking as they were watching all of this - would I get a visit from them later on?). Though I had the distinct feeling that I was followed to make sure that I was who I said I was, the deliveries went smoothly. The people who I delivered to were very sweet, for having heard about the barricades, didn't think that they would be getting meals that day, and how did I manage it? I thought of John Wayne again (worrying? ), "A man's got to do what a man's got to do". But of course I didn't say that, I just thought something like it. I got out of the estate the same way, and with as much confidence as I could muster, I said that I'd be back at the same time on Wednesday and Friday. Getting back to the office, I was knackered with the tension. This was not bravery, and looking back on it, is was quite stupid, and could have gone horribly wrong, but hey ho, you make decisions at the time and have to live with the consequences of those decisions. What would happen on Wednesday and Friday? Something remarkable. I pulled up; they checked who I was, and allowed me through with a wave. Human beings just never cease to amaze me. As they say at the end of some TV programmes, "To be continued". This past weekend I was in Cambridge, visiting my Son, Chris and his partner. Chris is Director of Senate House Libraries, University of London, and you can follow his Blog here. I'm really glad that he lives in Cambridge, for if there is a more beautiful and historic City in the UK, then I'd like to see it. We spent Saturday and Sunday exploring (to be more accurate, Chris was showing me around) in muggy heat on the first day, and scorching sunshine on the second day. It is at times like this that I wish that I wasn't carrying so much weight. The photos on here were taken by Chris, except of course the ones with him in them, which were my contribution. What a fantastic City Cambridge is. Though there had been small settlements in the area for thousands of years, it was the establishment of the University in 1209 that brought the place to prominence. 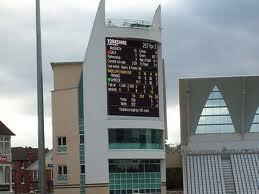 Cambridge is quite small - the 2001 Census records the population as 108,863 (including 22,153 students). I've never seen any place that packs so much interest and history into such a small area. The River Cam, which is a jewel within a jewel curves its way through the City, bringing delight to thousands, at any time of the year. When you walk through the City, it seems as if you're hearing every language on earth, and with camera shutters clicking somewhere every second, I wonder how many photographs we've all ended up in. I have no doubt that from my two days of walking around Cambridge, that Japan is full of photos of Chris and I, as we've inadvertently wandered into shot. Still' I'm sure that they can crop out the short, overweight one. Cambridge gained its City Charter in 1951, even though it doesn't have a Cathedral, which is normally a prerequisite for city status. 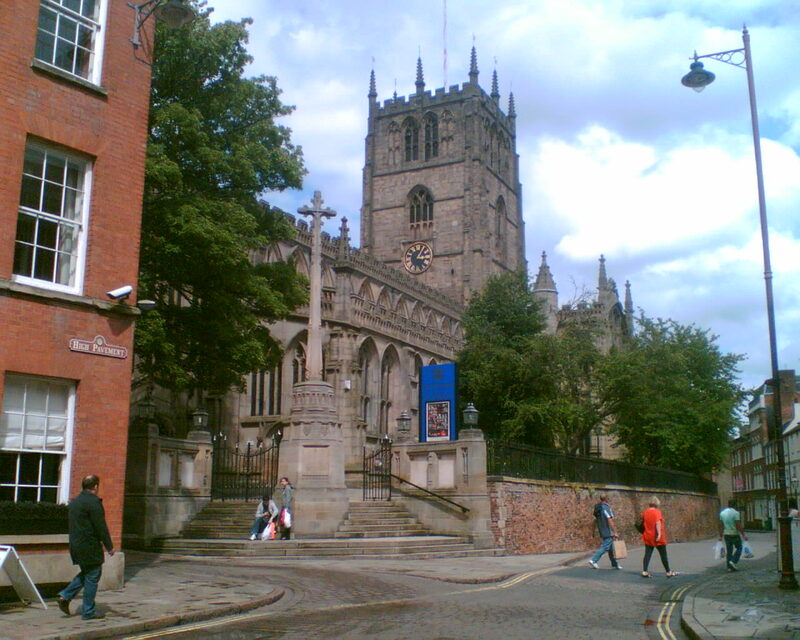 It's granted City status because of coming under the Church of England Diocese of Ely. Let's go for a walk around this Jewel on the Cam. 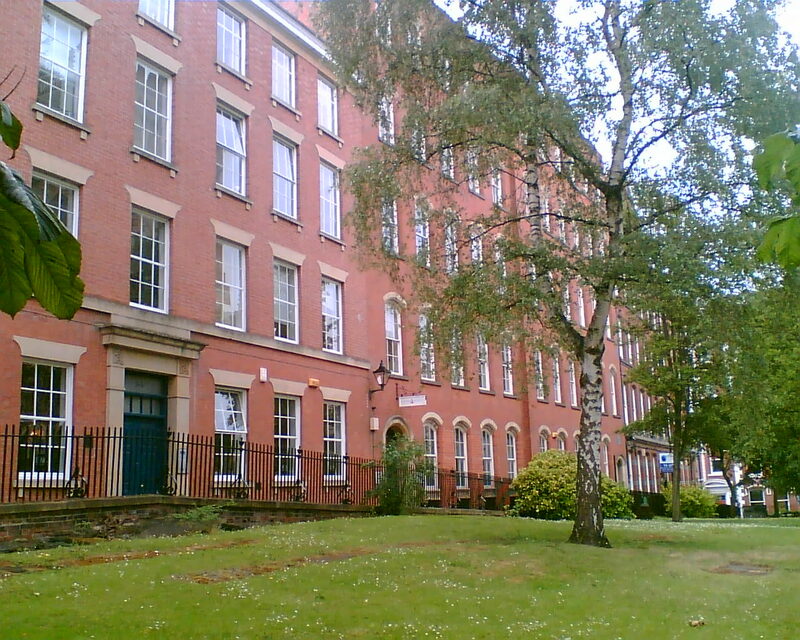 Chris lives a short walk from the City centre, which means that everything is within easy reach. The narrow streets are not really made for today's traffic, and are thronged with pedestrians and what seems like millions of cyclists, constantly ringing their bells to announce their arrival. After walking around a bit, it was time for a coffee (like Pooh Bear, it's always 11 O' clock for me). We went to the Fitzwilliam Museum, and as it was too warm for indoors, we sat outside in their cafe area. I've seen the inside before, and though it blows your mind away, that glory can wait for a cooler day. The Museum owes its foundation to Richard, 7th Viscount Fitzwilliam of Merrion who, in 1816, bequeathed to the University of Cambridge his works of art and library, together with funds to house them. His purpose was to further "the Increase of Learning and other great Objects of that Noble Foundation". The building was designed by George Basevi, who through an accidental death never saw it finished. It was completed by C.R. Cockerell and opened to the public in 1848. In the view of the Standing Commission on Museums & Galleries, "The Fitzwilliam Museum is one of the greatest glories of the University of Cambridge. It is a museum of international stature, with unique collections most splendidly housed. Like the University itself, the Fitzwilliam Museum is part of the national heritage, but, much more, it is part of a living and continuing culture which it is our statutory duty to transmit". Click here to read more. Having enjoyed the coffee and stimulating conversation about the magnificence of the Fitz, it was time to move on. One of the delights of Cambridge is that you can be in the middle of a packed thoroughfare one moment, then turn down a side street, and there's no one there, and perfect peace. We did that and came to the Peterhouse College Library. With Chris having started as a librarian on the front desk stamping books, and now risen to the level of Director in charge of a large staff team, budgets and collections, we couldn't resist this picture outside the Peterhouse College Library. If my love of books ever wanes, then a few moments talking with Chris would get my juices flowing again. The library is for members (called Petreans) only, so this was the closest we could get. Peterhouse College is the oldest and the smallest Cambridge college that is still in existence today. It was founded in 1284, and as would be expected, many destined to be illustrious people attended Peterhouse. 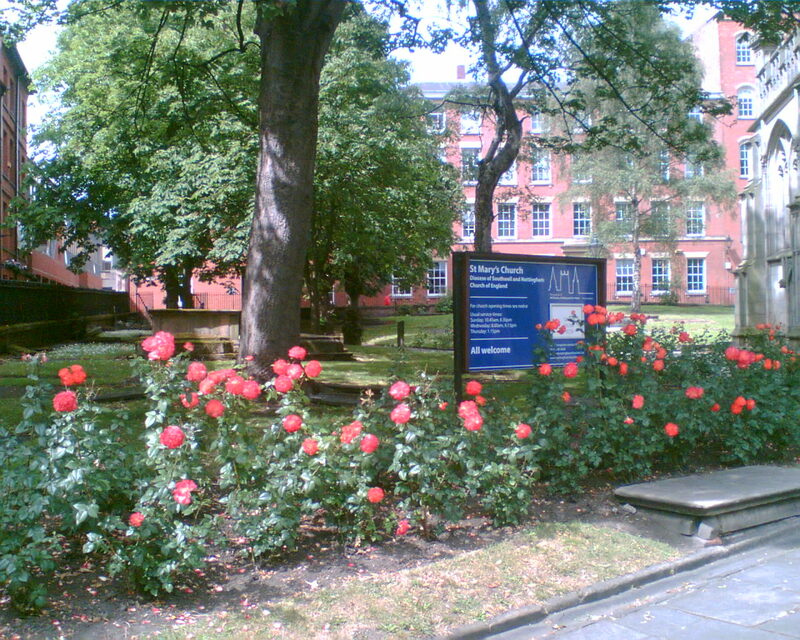 The college provides a long list of eminent Petreans, such as, Charles Babbage - who originated the concept of a programmable computer; Richard Baker - broadcaster; Henry Cavendish - discovered hydrogen and measured the Earth's density; Sir Christopher Cockerell - inventor of the hovercraft; Sir James Dewar - inventor of the thermos flask and cordite (I'll be forever grateful for the former); Lord Kelvin - developed the Kelvin scale of temperature measurement, and brought electric light to the College, which was second only to the Houses of Parliament; David Mitchell - comedian; Michael Portillo - politician and broadcaster; Sir Frank Whittle - developed jet propulsion. ﻿Right in the heart of the City lies Kings College, and the world famous Kings College Chapel. It is an imposing building, and possibly the most photographed building in Cambridge. This is me, doing what I do best, sitting. I still haven't been inside the Chapel for a number of reasons, which is nothing to do with the cost of entry. Chris and I are determined that next time I'm down, we'll go to evensong on a Sunday, and hopefully hear the choir. The Chapel building was started by Henry VI, with the foundation stone being laid in 1446. He was unable to see much being done, and it was only in around 1508 that the mantle was taken up again by Henry VII, who unfortunately died the following year. It was left to the reign of Henry VIII to complete the task in 1515. If you can fight your way through people and bicycles, sitting on the wall facing the College and Chapel is worth doing. Because I've just learnt how to do it, I can't resist posting a clip from the Kings College Choir to salivate over, and to see something of the Chapel interior. Amongst the crowds packing Cambridge, is an army of young people with small boards under their arms, trying so hard to entice tourists to take punt trips on the Cam. As Stephen Fry says, "Be careful how you say, Punting on the Cam"
This kind of photograph epitomises for me the life of Cambridge, just as much as its historic and beautiful buildings. In places the Cam can be a bottleneck, and great fun if you're standing on the river bank or on one of the bridges. There are the 'professional' punters, who are taking groups of people for a leisurely sail on the river, at about £45 a punt, and filling gullible tourist's heads with all manner of stories (to avoid legal action, let me say that I'm sure that the vast majority of Punters do not tell tall stories). There are also those who hire a punt for themselves, so that they can enjoy the thrill of punting down the river on a Sunday (or any other day) afternoon. From what I saw, they are less accomplished generally than the 'professional' ones, and their attempt to start going, or to keep going in a straight line is entertaining. However, it is a beautiful and restful sight, and obviously enjoyed by thousands every year. I certainly enjoyed the time Chris and I spent down by the river. 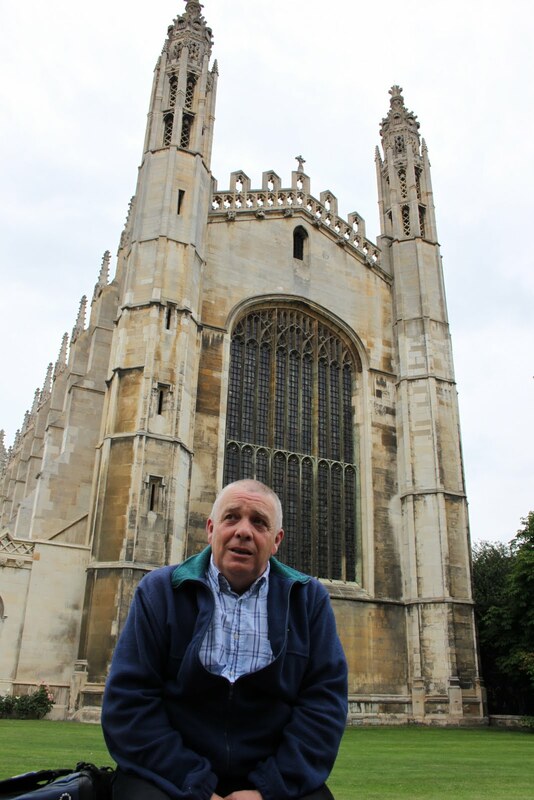 On Sunday, with the sun beating down on the hottest day of the year, Chris and I decided to visit, to give it its full name, The College of St John the Evangelist, or St John's College. Chris plans to write a blog on this College, so I'll happily leave it to his expertise, and put a link to it on a future blog of mine. Without doubt, this is the finest set of buildings that I have seen. Its College Charter was granted in 1511, and unlike most other Colleges it has developed to straddle both sides of the River Cam. The Chapel, though small, is amazing, and the number of grassy courts (like the one in the picture above) gives an air of spaciousness. What a happy bunny I seem to be, and that's what I am. Normally I look like Jack Dee at his grumpiest, but here's a smile, and why not with such a backdrop? The bridge is named after the famous one in Venice, but the only similarity between the two is that both have a roof on them. 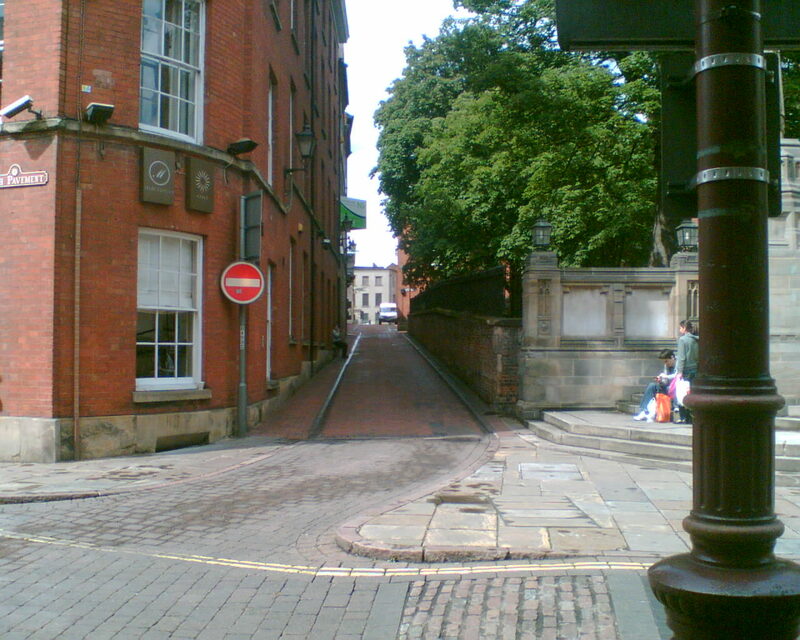 Oxford has a Bridge of Sighs as well, but that goes over a road. Enough said. St John's is all yours Chris. I so enjoyed my few days in Cambridge. I was well fed; well looked after, and as ever, it was a delight to spend time with my Son, and to converse on a whole range of subjects. I always come away having being entertained, enlightened and enthralled. In a strange way, this picture sums up my essence. Sitting on a park bench in one of the many lovely green spaces, cigar in hand, watching the world go by. I do that so well. Do enjoy these other photos. While in town today, I treated myself to lunch. Jacket potato, chicken curry and a side salad. Very filling, very nice and just £3. The news came on the television, and there was a report of last night's riot in East Belfast. I thought, 'Oh no, not again'. The pictures on screen (see above) could have come from any time over the last 40 years. On returning home, I checked out the various news outlets to see what was being said, and a familiar story unfolded. The riot happened in the Lower Newtownards Road area of East Belfast, with the main target being the Short Strand district. The BBC reported that "a large group of masked loyalists rioted overnight in the Lower Newtownards Road attacking police vehicles with petrol bombs as well as homes in east Belfast's Short Strand area". Up to 500 people were involved in the rioting, and it seems as if shooting was heard from both sides. For those unfamiliar with the geography of this area, the Short Strand is a mainly Nationalist (Catholic) area with a population of about 3,000. 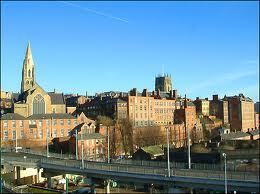 It is surrounded by a generally Unionist (Protestant) population of about 80,000. The inter-face between the two communities has always been tense. One of the Councillors based in the Short Strand is Niall O Donnghaile (Sinn Fein), who is also this years Lord Mayor of Belfast (incidentally the youngest Belfast Mayor ever at 25). Sinn Fein believe that the rioting was orchestrated by the Ulster Volunteer Force (UVF), and this was also the view of the Police Service of Northern Ireland (PSNI). The UVF is supposed to have declared a ceasefire. Mr O Donnghaile says, "There is no doubt that this was unprovoked and was a carefully orchestrated and planned attack on this area". The Ulster Unionist, Michael Copeland, while not denying UVF involvement said that he believed the violence followed attacks on Protestant-owned homes in the Lower Newtownards Road. So it was retaliation. There you have the classic Ulster position. It was "them" who started it, not "us". As ever, the BBC Ireland Correspondent, Mark Simpson summed it up beautifully. "The riot in east Belfast was another reminder that Northern Ireland has a peace process but it does not have peace". The process is moving forward, in spite of the efforts of those from both sides to de-rail it, and the process must continue, even if, god forbid, a few generations must pass before true peace is accomplished. 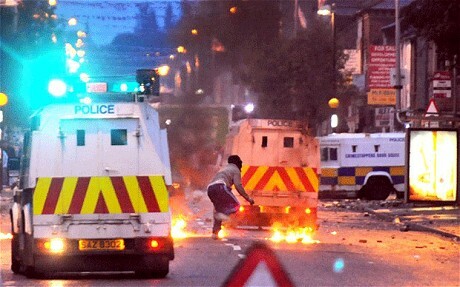 While last night's riot in East Belfast is disturbing, it is unfortunately something that does occur from time to time. Without any apology, I say that of far more sorrow to me was the report published a few days ago in Northern Ireland on the suicide rate in 2010. A total of 313 deaths were recorded as suicides, which is the highest number ever recorded in Northern Ireland for a single year. I came across this figure while reading a website article by the Mayor of Belfast. He said, "Last year 313 people took their own life which is a record for the North. I am extremely concerned that many of those who died were young people who came from social disadvantaged areas. This year has also seen the highest number of maternal suicides with five women taking their own lives, which is an extremely worrying development, and shows that more needs to be done to support new mothers. Areas of North and West Belfast have nearly twice the death rate through suicide as the rest of the North, and young males are particularly at risk. ... We need to look at ways of combating this in a way that encompasses all agencies working together, rather than the piecemeal approach currently taken". Of the 313 deaths, 240 were males and 73 were females, with the most common age group being between 25 and 34, though 1 in 8 deaths were in the over 60's age group. The report was presented by The Institute of Public Health, and its Associate Director, Owen Metcalfe said, "Men's health issues in times of economic recession are made more difficult by their tendency to take fewer health preventative measures, and be less likely to seek support. The combination of perceived inadequate service responses and the reluctance of many men to communicate their problems mean that a large proportion of more critical effects are undoubtedly hidden". The report linked unemployment and the current economic climate to the rise in mental health problems in men in Northern Ireland. High stress levels, over-use of alcohol and drugs, relationship problems and isolation were among the main causes. To cover the period 2006 - 2011, The Northern Ireland Suicide Prevention Strategy and Action Plan was produced, called "Protect Life - a shared vision". While being a fine document, it is clearly not working, and perhaps the Mayor is right when he mentions the "piecemeal approach currently taken". Northern Ireland has a population of around 1.7 million, and while suicide rates as a percentage of the population (0.018%) are on a par with the Republic of Ireland and Scotland, they are way too high. Looking at the figures for the last few years tells us that we are not getting to grips with the problem. With suicide figures in brackets, we can note the following: 2005 (231); 2006 (291); 2007 (242); 2008 (282); 2009 (260); 2010 (313). I find it interesting to compare these figures with those who took their lives during 'the troubles'. In April 1991, The Ulster Medical Journal (Volume 60, number 1), published an article where researchers examined methods of suicide between 1964 and 1988. During that 24 year period, 2168 people committed suicide, which is an average of 90 per year. However, in the early to middle 1970's, at the height of the troubles, the rate was just 50 per year. So, since the end of years of escalating violence, the suicide rate has increased dramatically, and largely in the same areas that felt the full brunt of violence. Thankfully, attitudes to suicide have changed over the centuries. LaRita Archibold, in an excellent summary of attitudes, called "Religious Reflections on Suicide" says, "Legal and social attitudes about suicide throughout history evolved from canonical law. During the Middle Ages, the suicide was deemed as low as the lowest criminal, and was discouraged by exhibition and desecration of the body, defamation of the memory and confiscation of the estate by the government, leaving the surviving family ostracized and destitute. Attempters (of suicide) were punished by flogging, imprisonment and were stripped of all social and financial assets. Desecration of the corpse and forfeiture of estate were not legally abolished in England until 1823. In 1961, England repealed its law making attempted suicide a crime". So, only 50 years ago it would have been a crime to attempt suicide. Unfortunately, there is however still a stigma associated with suicide which presents a large barrier to giving help. There is an excellent website called "Stamp out Suicide", and in trying to explain stigma it says, "Death is not something we discuss in everyday conversation. We do not feel comfortable in the knowledge that we will die someday and so such conversations are not commonplace. Indeed, given that we are driven by our survival instinct, is it little wonder we find it particularly difficult to comprehend when we hear that someone has taken their own life? Because people do not feel comfortable talking about death, and because there is a stigma associated with suicide, people who are suicidal may withhold their feelings and not seek help. This presents a major problem". Arguably, there is more isolation than there has ever been, and the reasons for suicide are many and varied. However, there is one thing that all people either attempting, or committing suicide have in common; they can see no way forward except to take their life. They are feeling down, distressed and depressed, and what they need is empathy, help and support. Men, notoriously see it as a weakness to share their feelings, and so hide what they are going through from those around them. In a distressed state, we cannot see a way forward on our own, but there can be a way, but it might need others to show us that way. There are no easy answers, and I wouldn't pretend to have any, but it's a truism to say "that once a suicide is completed, there is no cure". We all can play a part by watching out for family, friends and neighbours; get over the stigma and be available to provide help. So, in East Belfast, rioters were engaged in summer rituals of hating your neighbour, while individuals in the same city are struggling with how to get through today. "Although we live in an ever changing world, showing compassion must never go out of fashion". I'm useless at buying presents. Always have been. I remember as a young teenager buying my Mother a set of three pottery flying geese that you hung on the wall - they were all the rage 50 years ago. "O good, something else to dust" was the retort, but to be fair to her she did hang them on the living room wall, and if I was honest, they were crap. I've bought CD's of music the person didn't particularly like, or already had a copy because it was their favourite music. I've bought books that family or friends already had. I've bought perfume and toiletries that partners couldn't stand the smell of, and as the last haven of desperate men, I've bought tokens, or even worse, given cash. Cash gives the impression that you couldn't be bothered; that you didn't care. But this wasn't true of me, I really did care; I really did put an effort in, but when it came to buying a present for someone I loved, it was as if my mind went blank, I just couldn't creatively think of something worthwhile. I have a corner in one of my cupboards where there are presents I've bought and never given, because at the last minute I felt that they were awful. I've books in my bookcase that were bought as presents and never sent for the same reason, and I've never read them. I don't think that I've ever heard the words, "Thanks John, that's an amazing present". And neither should I, because my presents never have been amazing. It's because I'm useless at buying presents. Call it an excuse if you like, but I know the truth. Imagine if you will the year 1857; the place China. 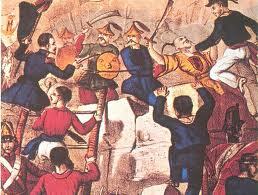 The Anglo-Chinese War had begun (known as the Opium War). This was a time of aggressive British imperialism. The French and Americans were also involved in treaties with the Chinese. A treaty had been negotiated in good faith between Britain and China, but Britain demanded that the Qing authorities renegotiate it. They refused. Why? The British demands included opening all of China to British merchants; legalising the opium trade; exempting foreign imports from internal transit duties; suppression of piracy; regulation of the coolie trade; permission for a British ambassador to reside in Beijing, and for the English language version of all treaties to take precedence over the Chinese. Little wonder they refused, and the 2nd Anglo - Chinese War began. 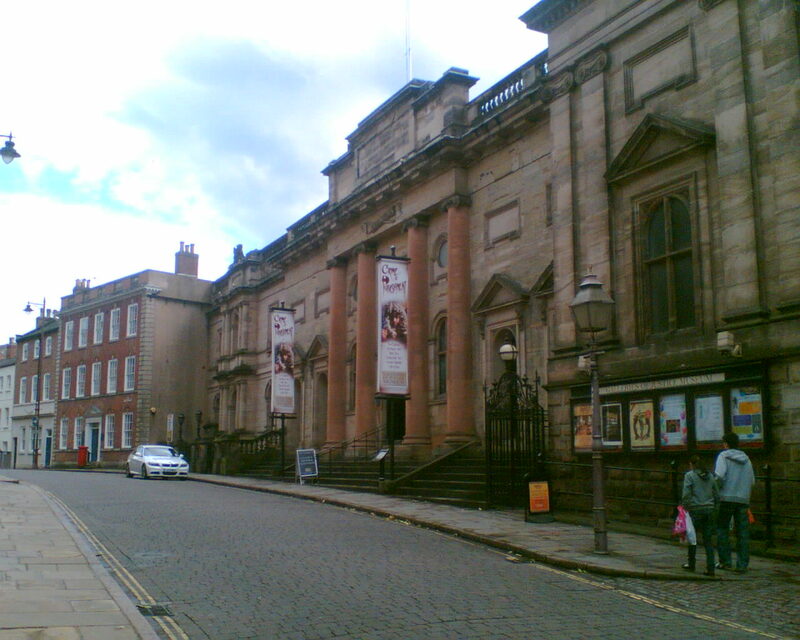 The city of Canton was captured in 1857, and one of the regiments involved was the 59th (or 2nd) Nottingham Regiment of Foot. 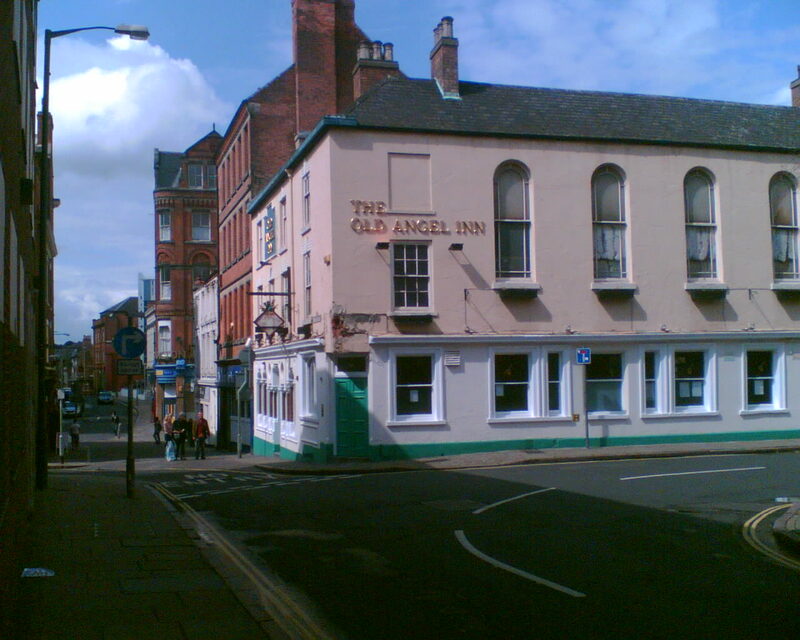 Imagine the General in charge of the Nottingham Regiment thinking that it would be a good idea to send a present back to their home city by way of celebration, but what should it be? I know, let's loot the local temple, and send them back a bell. Keep that imagination going. The city fathers of Nottingham are sitting in congress, and have just received the news. "Great, a bell. Nice thought, but what the hell are we going to do with it?" They came up with a solution, which wasn't let's put it in the basement and just bring it out when the Generals in town. The Nottingham Arboretum had opened just five years previously, so the Borough Engineer, Marriott Ogle Tarbottom was asked to design a structure to house the bell. This he did in 1857, and the Chinese Bell Tower was built in 1862 as a war memorial. 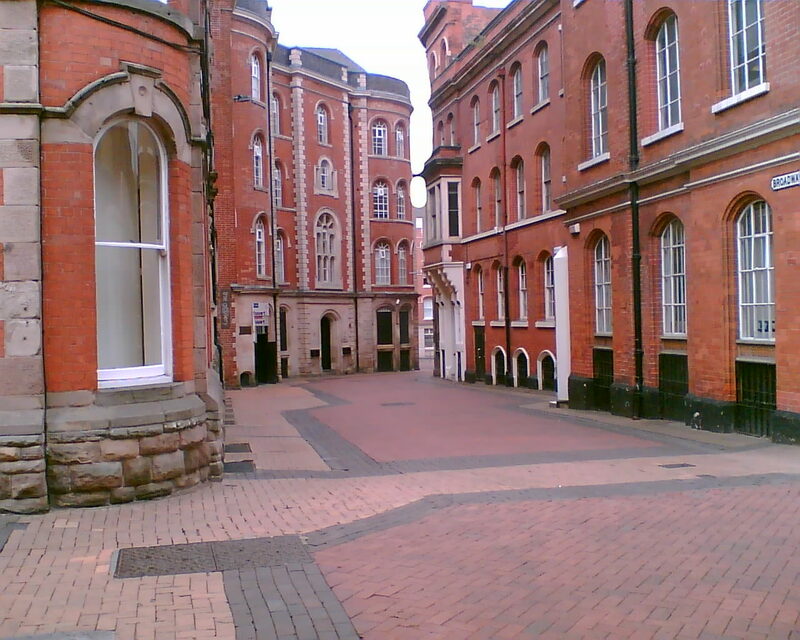 Allen's Illustrated Guide to Nottingham (1888) called this structure 'The War Trophy'. The current bell is not the original one, as that was removed to the Regimental Museum in 1956. I'm not sure that the General had thought through this present, for this simple gift cost the City of Nottingham a fortune to house it. It's a bit like being given a DVD/Blue Ray player as a present, and finding that your oldish TV won't support it, so you have to spend £500 to get a new TV. The local historian, Robert Mellors wrote about the Chinese Bell Tower in 1926. In a rare insight into his views, we can take China, and substitute it for any country that we have no business to go to war with. "Is it not a pity that the memory of wars that might have been avoided, and brought us no national credit, should have thus been perpetuated? The Chinese War was to compel China to open its ports to our commerce, which included opium, and which they were determined not to have. The bell should remind us that it is our national duty to see that justice is done by other powers to China as a sovereign state, and that treaties which were wrung from her should now be revised with equity". 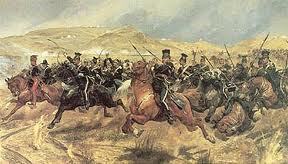 This was the Battle of Balaclava on the 25th October 1854. However, in close proximity during 1854/1855 the Battle of Sebastopol occurred. What brought about the Crimean War? It was a question of territory, as it is with most wars. In May 1853 the Russians threatened to invade the principalities of Wallachia and Moldavia unless the Ottoman Sultan surrendered to their demands. Lord Palmerston, Home Secretary, argued with the Prime Minister, Lord Aberdeen, that Russia should be informed of Britain's intention to go to war if Russia invaded the principalities. Aberdeen objected to all of Palmerston's proposals, but eventually agreed to send a fleet to the Dardanelles in aid of the Turkish navy. Due to bad weather, the fleet were forced to take refuge in the Dardanelles Straits, which Russia took to be in violation of the prevailing convention of 1841. Russia therefore invaded the two principalities, and on the 28th March 1854, Britain and France declared war on Russia. To be honest, I can't totally understand why we were there in the first place, but then I've said the same thing about Iraq and Afghanistan. The battle of Sebastopol was a success for the British, and four captured cannons were presented to Nottingham in 1859. These cannons were placed on the four corners of the base holding the Chinese Bell Tower, even though this was two or three years before the tower itself was built. Two of the cannons were removed during the second world war, possibly as part of the war effort to reclaim metal. Replicas were put in their place. 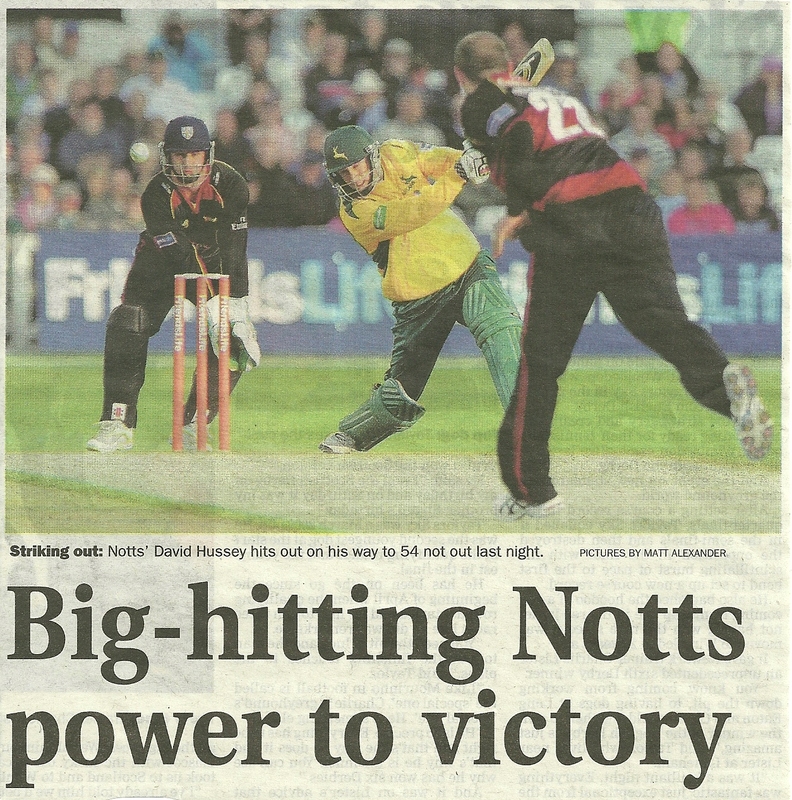 But who gave the cannons to Nottingham? 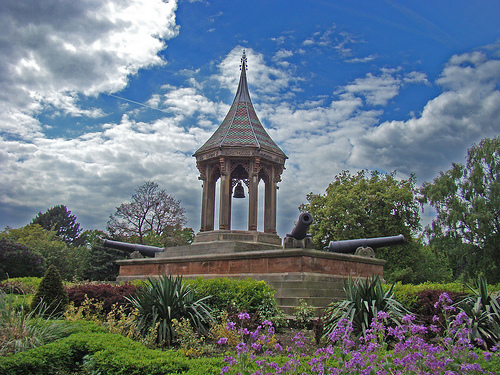 It is believed that they were given by Lord Palmerston, who around the same time had given two cannons to the Arboretum in Derby. He was obviously fond of giving away cannons as presents, and it does make you wonder if he'd put in an order to the Commanders in the field at Sebastopol, "I'll take six please, they'll do nicely for Christmas". I like the Bell Tower as an ornamental feature though. I've worried about buying presents that were useful, but here we have a Chinese Bell and Russian Cannons which are far from useful, as all they are is expensive to keep up, they just sit there, and three of the five items are not even real any more. Perhaps that's all a present should be; something that just sits there, reminding the recipient of the giver, and the background of the gift. Have I the courage to try that one out at the next family birthday? Look out Chris, it could be you. I have loved Belfast since I first moved there in 1970. Two of my three sons were born there, and the youngest still lives in the City. My other son was born in Suffolk, just so that he doesn't feel left out. To this day I am still ashamed of the way that I left everything that I loved in 1989, but that story is not for public consumption. I think though, that it has been that shame that has prevented me from talking about aspects of my work experiences in Belfast. It's as if I have no right to have memories about that place. So, why the change? I've just started to read a book by Joshua Levine called 'Beauty & Atrocity', which is exploring people, politics and Ireland's fight for peace. It made me remember that I have been part of this history, and though that part was very small, it was something significant to me. 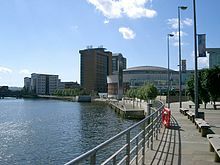 As it seems with all great cities, Belfast has a river running through it's heart - the River Lagan. The city is flanked on the north and northwest by a series of hills, including Divis Mountain, Black Mountain and Cavehill. This latter hill is thought to be the inspiration for Jonathan Swift's, Gulliver's Travels. When Swift was living at Lilliput Cottage near the bottom of the Limestone Road in Belfast, he imagined that the Cavehill resembled the shape of a sleeping giant safeguarding the city. The shape of the giant's nose is known locally as 'Napoleon's Nose'. The Castlereagh Hills overlook the city on the southeast. One of my favourite descriptions about Belfast comes from the former poet and Catholic Bishop of Down and Connor, Dr William Philbin, who said, "Belfast is a city walled in by mountains, moated by seas, and undermined by deposits of history". Belfast today is very different from the Belfast of the 1970's and 1980's. My purpose is not to talk about the city, as much as I would like to, but to focus on a smaller area where I worked, namely the New Lodge Area, Tiger's Bay and the Mount Vernon area of North Belfast. I was appointed as Director of a fairly new Christian based charity to begin to address the real needs of those living in a materially and socially disadvantaged area. The mission was to effect change in North Belfast by social action and community development, so that North Belfast would become a place of co-operation, prosperity and hope. Having looked at the Trust's current website, I'm very pleased to see that it is still thriving, and carrying on with its original aims. The base was the above cafe, with offices and other rooms on the upper floors. The cafe would now be called a social enterprise, and served as a real focal point for the work. In a room behind the main cafe was a space that I turned into a small gym, as I've always believed in the value of having somewhere where testosterone filled individuals can find a legitimate outlet for their aggression. 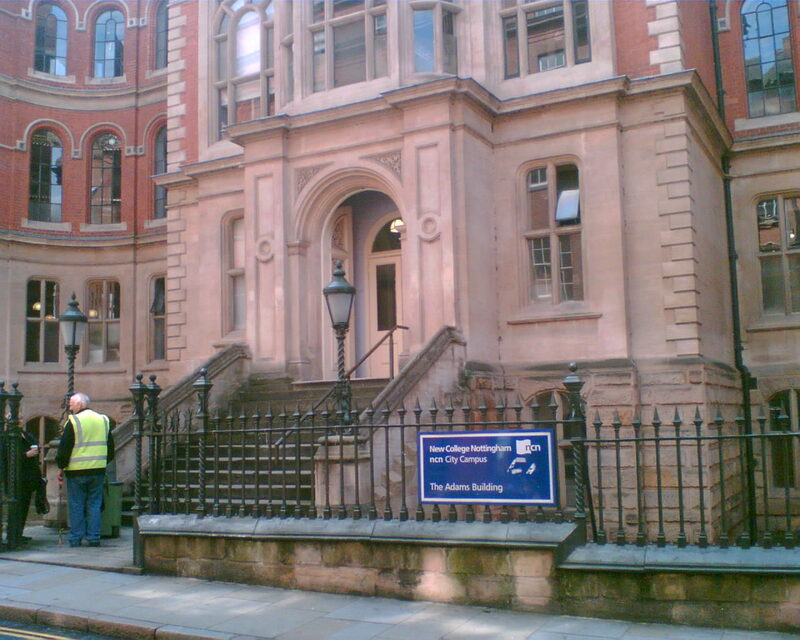 The few years spent at this charity was undoubtedly the most taxing, demanding, challenging and rewarding of my life. ﻿Looking from the cafe doorway you could see down the start of the New Lodge Road. The estate was named after this road. 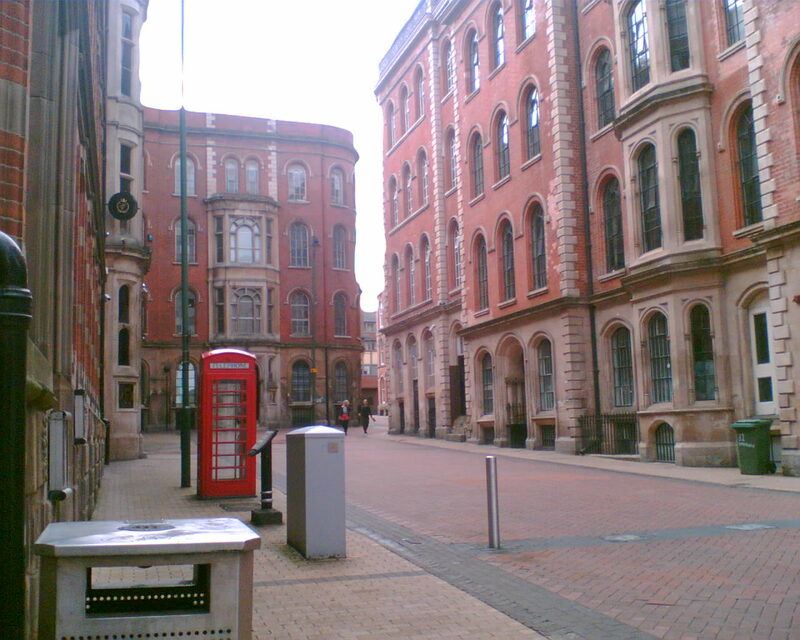 The 1880's was the period when the estate was developed; it was also the time when Belfast changed from being a town and became a city, gaining the charter in 1888. Originally the New Lodge Road was even longer, but in time the upper section was changed to the Cliftonville Road. The north side of the estate was bordered by Duncairn Gardens, which on the opposite side of the road housed Tiger's Bay. The New Lodge was strongly republican (catholic) and Tiger's Bay was strongly loyalist (protestant). 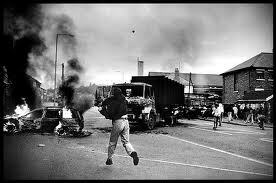 Duncairn Gardens was often the scene of trouble between the two communities. 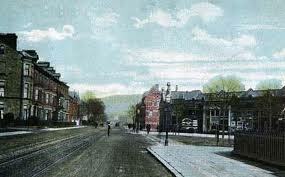 It is interesting that as New Lodge developed in the late 1800's and early 1900's, it was very much a protestant area. This remained the case leading up to, and after the partition of Ireland in 1922. Civil war erupted in Belfast in 1920, and over the following two years many tragic deaths were recorded. By the time I worked in the area, sectarianism was rife, with entrenched positions being taken by different communities. The corner of the New Lodge Road and Antrim Road, just opposite our base, was statistically the most dangerous spot to stand at in Northern Ireland - mainly due to 'drive-by shootings'. The whole area did not score well in Northern Ireland's Index of Multiple Deprivation, and it still doesn't. Take the New Lodge as an example; unemployment rate among men was 56%; 15% had no recognised educational qualifications; 84% had no transport of their own; 20% of all murders committed during the last thirty years of the troubles occurred within a one-mile radius of our base; 70% of the local school population was entitled to free school meals. It was the fifth most deprived of Northern Ireland's 582 wards. Add political turmoil to social deprivation, and it's no wonder that areas such as these were like a powder keg waiting to blow. The presence of factions within the paramilitary groupings did not help when you were trying to get work done. In the New Lodge, Lepper Street separated the top from the bottom of the estate. One half was controlled by the Provisional Irish Republican Army (PIRA), and the other half by the Irish National Liberation Army (INLA). 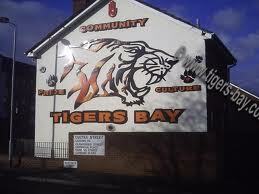 Tiger's Bay, being a loyalist area had a reputation for being a notorious Ulster Defence Association (UDA) stronghold. Given the social and political nature of this area, how would we effect change by social action and community development? The cafe, elderly groups, youth work, groups to integrate disabled and able bodied people, family and toddler groups were all great at meeting, and building relationships with small groups of people - the value of which cannot be underestimated. However, I wanted more, something on a bigger scale that would take us out of our comfort zone, and present a challenge. This soon began to happen. The Government, through the Northern Ireland Department for Economic Development (DED) had introduced an employment creation scheme called Action for Community Employment (A.C.E.). It was designed for anyone who had been unemployed for over six months. Over a short period, I managed to build an ACE workforce of over 70 people, to complement the permanent staff employed by the Trust. You could employ people for up to one year, and foremen for up to two years. You had to provide meaningful work, pay a set wage, provide training, and help them to secure employment at the end of the period. I wanted a challenge, and by god I got one. The work was mainly divided into gardening services and home decorating services, but also included office work. As the Government were very sensitive to the political and religious make-up of Northern Ireland, our ACE workforce had to reflect that. At the time, Northern Ireland was largely 66% protestant and 34% catholic, so my workforce had to be the same, reflected in full and part time workers. It's a good job that I've always been quite good with figures, as I needed to be. The DED were very hot on monitoring, and checked quotas on a quarterly basis. Because we were a cross community organisation, trying to break down the barriers between 'waring' communities, my dream was to have people working in areas that were foreign to them. 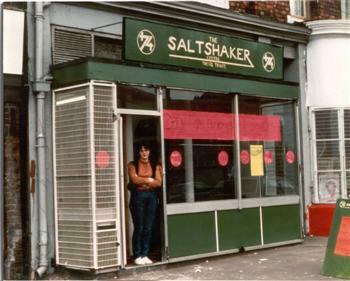 Many of the younger workers did confess that they had never spoken to, or mixed with someone from the 'other side'. Once we got going, there was never a shortage of work. What I never told my bosses, or my staff, and in fact I don't think I've told anyone until now, was the amount of work that I had to do with the leaders of the various communities (ie paramiliatories) to ensure the safety of staff working in those areas. I had to put to one side their reputations for mayhem, and think of them as a residents association. I needed their support, because with it, no-one would dare go against it. I would explain that we would be doing good within their community, tidying up the gardens of the elderly and the disabled, as well as improving the homes of those who were struggling with life. I wanted them also to not action the £10 per week that they 'asked' every worker in the area to pay into the funds. Believe me, if you think that some of my blogs are a bit OTT, you should have heard me then, but it worked. We could do our stuff in their areas. I should also point out that in addition to this, I made a point of trying to speak to as many wives, mothers and grandmothers as I could, as believe me, there is nothing more formidable than a group of Belfast women on the march, and I say that with great affection. In the following years, not one worker was hurt while working in an area that was foreign to them. While on the subject of seeking co-operation, I'm not ashamed to say that I sought the help of Sinn Fein whenever anything was stolen from the Trust. This didn't happen often, surprisingly, but I remember two occasions when a ladder and a calor gas heater were stolen. I went down to the local Sinn Fein office in the New Lodge, and something caught my eye which I decided to use. Being a Christian based organisation we would have posters about the centre. One of them said, "Jesus will set you free". 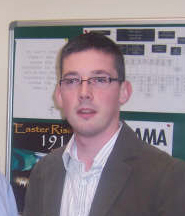 A poster in the Sinn Fein office was one of ours, but Jesus had become Sinn Fein. My laughing off the 'theft' of our poster had the desired effect, and the stolen items (I let them keep the poster) were returned within 24 hours, with no harm done to the thieves as I had requested. Some may question the morality of this; shouldn't I have gone to the Police? The Police had more important things to contend with, like staying alive, rather than worry about a ladder and heater. In the end the community dealt with the problem. In spite of no harm coming to workers, I eventually had to abandon the idea of workers working in 'other' areas, as the fear of violence had reared its ugly head. A number of workers on the ACE programme had been killed, but not while doing work for us. They were killed in their own homes by gunmen, or were victims of drive-by shootings. This fear was understandable, and I changed policy to deal with that fear. Their lives were more important than my ideals. There were periods when the whole city was very tense, and this made work quite difficult at times. Occasionally I would personally receive threats of a vague nature, usually through a third party, and I did take to varying my route from home to work each day, as well as looking under my car for bombs before going home each night. This may sound a bit dramatic now, but it was what many people had to do in those days. What didn't help to ease the fears of staff was the day when a Molotov cocktail was thrown through the office window. Actually I need to clarify that. Would be thugs were often not the sharpest knives in the box, and on this occasion the wick fell out before the bottle crashed through the window. Humour can deflect panic, and we did laugh at this. It's a bit like the story (myth) of a group hijacking a bus, covering it in petrol, and then realising that no one had brought any matches with them. See what I mean about the sharpest knives in the box? The ACE workers were a mixed bunch, from the really nice ones, who just wanted to get on and make something of their lives, to the frightful ones, who were only there because of the threat of losing their benefits. A large proportion of the former ones, unsurprisingly, we were able to help find them jobs at the end of their time with us. The latter ones were generally inept, were dangerous, played pranks and generally messed about, though we managed to turn some of them around by the end of their year. Those who just messed about spent more time in my office being spoken to, or disciplined than on the job I think, and there was a period when I seemed to be sacking about two a week. Thankfully it was not all like that, and mostly the programme was a success, with people learning to do a good job, and moving on to other work. 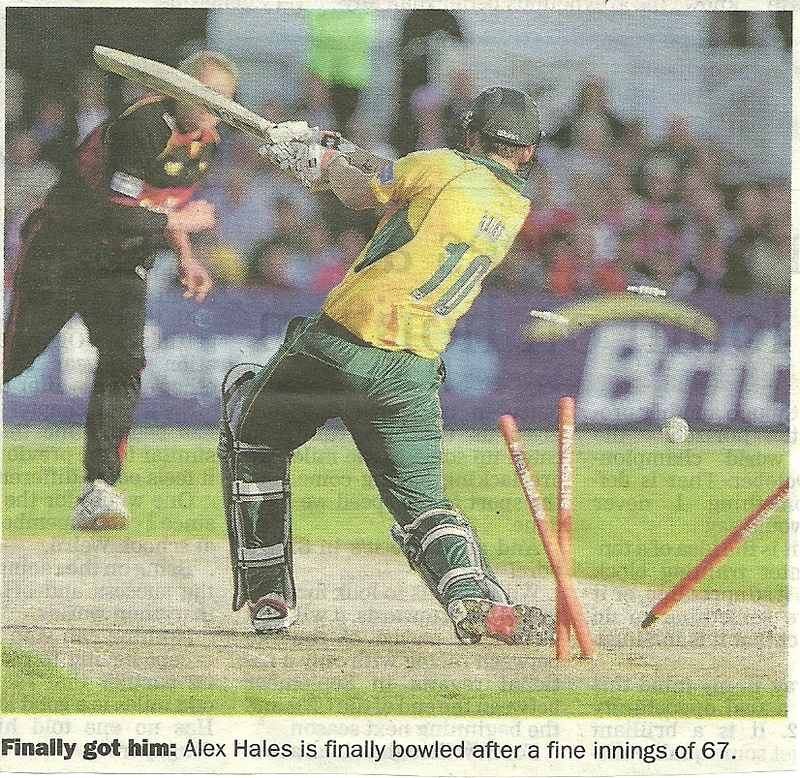 This was always very pleasing. I've just noticed that this blog is getting a bit long, and there's so much more to say about working in that area of Belfast. Perhaps that will have to wait for another time. Though spending so much time in deprived and politically troubled areas, I never lost my love for the city or the surrounding areas. It was this mix of the beauty and the beast that was so exciting. 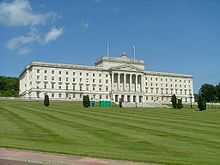 Let me end with a picture of the Stormont building, built in 1932, which is the home of the Northern Ireland Assembly. Isn't it just beautiful? Quiz question. How many international state Presidents have been born in Belfast?